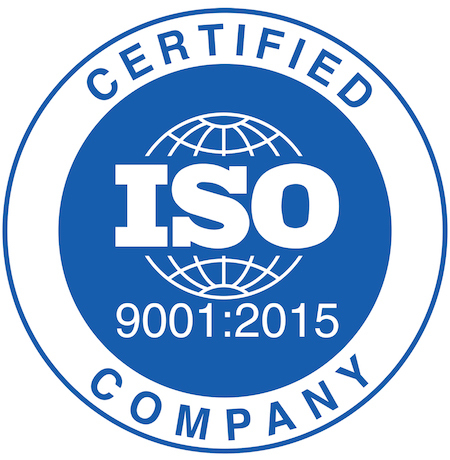 Integrity Management Services, Inc. (IntegrityM) is pleased to announce its achievement of International Organization for Standardization (ISO) 9001:2015 certification. ISO 9001:2015 certification establishes the criteria for quality management principles, including a strong customer focus, commitment of executive management, implementation of consistent business processes and continuous improvement. IntegrityM’s quality management system was assessed by Performance Review Institute(PRI) Registrar, a full-service non-profit certification body accredited by the ANSI-ASQ National Accreditation Board (ANAB). “PRI Registrar is proud to partner with IntegrityM in this accomplishment and look forward to continued support of their objective of quality management excellence,” said Randy Daugharthy, Director of the Registrar Program at the PRI. The award of ISO 9001:2015 certification indicates IntegrityM’s implementation of a quality management system that enables it to consistently provide product and services that meets customer and applicable statutory and regulatory requirements, and to enhance customer satisfaction through the effective application of the system, including processes for continual improvement of the system and the assurance of conformity to customer and applicable statutory and regulatory requirements. “We are proud to achieve ISO 9001:2015 certification. It demonstrates our commitment to quality products, customer service and delivery,” said Nisha Shajahan, President/CEO of IntegrityM. Integrity Management Services, Inc. (IntegrityM) is a certified woman-owned small business (WOSB), ISO 9001:2015 certified, CMMI Level 3 appraised and FISMA compliant organization. IntegrityM was created to support the program integrity efforts of federal and state government programs, as well as private sector organizations. IntegrityM provides experience and expertise to government programs and private businesses supporting government programs. Results are achieved through analysis and support services such as, statistical and data analysis, compliance audit, investigation, medical review, and software solutions. Since 1995, Performance Review Institute Registrar, a management systems registrar, has helped a multitude of organizations achieve and realize their true potential through the development of management systems and quality systems certification. As an affiliate of SAE International, PRI Registrar is a not-for-profit organization, uniquely motivated with a mission and commitment to raise the bar in any industry it serves. To learn more information, visit www.priregistrar.org or contact PRI Registrar at priregistrar@p-r-i.org today.